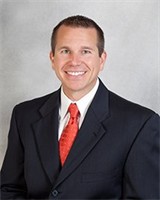 Directory > Providers > Doctor > ENT > GA > Marietta > Ryan Kauffman, M.D. Our physicians specialize in otolaryngology. We provide comprehensive, state-of-the-art care in the metro Atlanta area with six locations including: Buckhead, Canton, Cartersville, Marietta, Windy Hill and Woodstock. We routinely evaluate and treat patients of all ages for a wide range of conditions involving the ear, nose, throat, head and neck. Northwest ENT and Allergy Center provides comprehensive care for your ENT needs. Our physicians specialize in both the medical and surgical care of all ENT related diseases. Their commitment to providing compassionate patient care and utilizing state-of-the-art treatments and procedures ensures effective relief of your symptoms. All physicians are board certified / eligible by the American Board of Otolaryngology. Services Comprehensive care of the ear, nose, throat, and face. Full service allergy including allergy testing and allergy shots or allergy drops. I was in pain and they worked me in to see Dr Kauffman ( a new 1st visit patient ) within a couple hours. They were very thorough and attentive spending all the time necessary to examine me and answer my questions . The entire staff is very friendly and professional and I was very satisfied with my visit. I will absolutely return. I had a very positive experience, and am pleased with the treatment plan we are following. I am also pleased with myself for choosing Dr. Kauffman.